There are probably a million tutorials out there to do this, but as I’m doing it for the second time, I figure that I should probably write it down. and run through the install process. Make sure you write all of that info down. Then download wordpress. Assuming they still have their download architecture the same as the time I’m writing this, you can just use this command. You should see a LOT of stuff unzipping. Now you need to create a database. mysql> GRANT ALL PRIVILEGES ON wordpress_risp. * to "AUSERNAME"@"localhost"
Follow the instructions in the document to add your MySQL DB stuff that you established earlier. At this point you’re pretty much done. 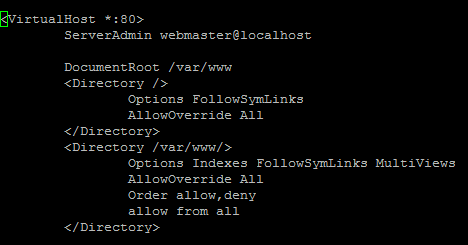 Navigate you localhost/wp-admin/install.php in your favorite browser to set it all up.